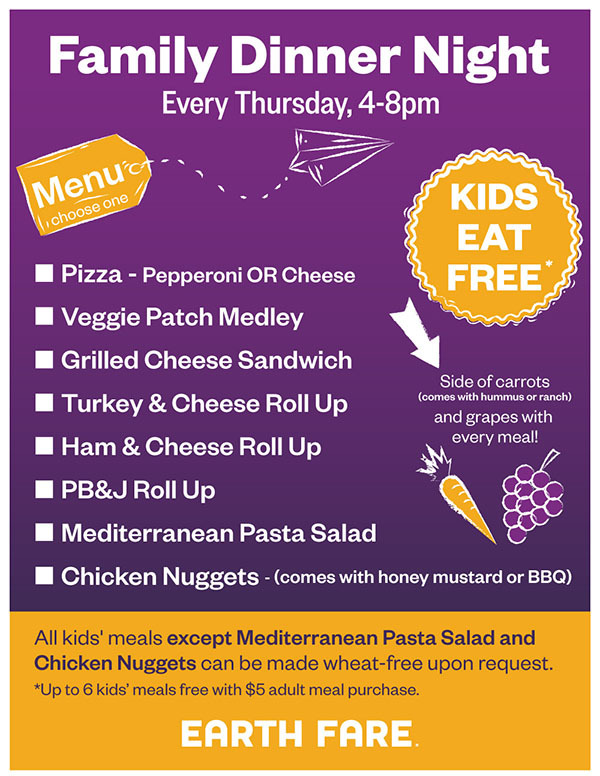 Up to 6 kids eat free at Earth Fare with paid adult meal on Thursdays! I just found this out on the Earth Fare website! The coolest part (for your child’s body) is that they offer many choices that can be made wheat free and offer healthy sides, such as carrots with hummus or ranch and grapes. The coolest part (for your wallet) is that they allow up to 6 free kids meals with the $5+ adult meal purchase! If you’re short on funds, this would be a great healthy and cheap small birthday party. You could take the kids out to eat together for $5, then go to a local park. *Kids must be present. At my local store, it’s from 4-8pm on Thursdays. You can check their site for a confirmation of the day and hours of this nearest you. While you’re there, be sure to check their coupons and sign up for their mobile coupons! They even have an app and recipes that can be found on their site. $100 off code for your purchase at Joybird.com!! Check out my reviews and info about their company here, which includes a code for $100 off!! !